November 21, 2016 — We have just kicked off the year-end annual fund campaign. Your contributions help make it possible for many to experience the therapeutic and healing power of our horses. To give you an idea of how your support makes a difference, check out a story of one of our many students at Fieldstone Farm. At the age of four, Lilyana was diagnosed with a rare auto-immune disease that was painful and affected her ability to walk, climb stairs and use her hands. She had to undergo frequent hospital treatments which brought her to tears and left her very weak. It was a lot for a little girl and her family to withstand. But then, our horses changed everything. Lilyana came to Fieldstone Farm, worked with our therapy horses and forgot she was sick. Her mom loved seeing her daughter relaxed, happy and having fun without knowing she was experiencing therapy. It was the escape her daughter needed. Lilyana worked with our licensed physical therapists who used the motion of the horse to build strength and balance. She made dramatic progress gaining core and leg strength and quickly advanced to riding independently. Today, Lilyana is in remission and continues to ride, competes in our various horse shows and dreams of owning a horse one day. 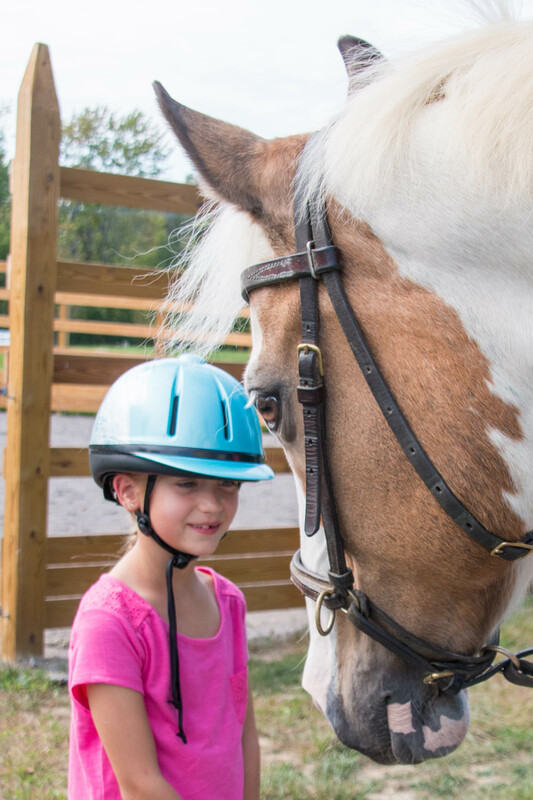 Lilyana is one of more than 1,200 students who benefit from the healing powers of our horses each year. Please join us in continuing to make experiences like this possible. To contribute to our annual campaign, please click here to donate.